In a completely unexpected (because it seems insanely early) move, the Galaxy S9 and Galaxy S9+ both stopped off at the FCC this week. I’m not kidding, we have listings for both phones under model numbers SM-G960F (S9) and SM-G965F (S9+). While these listings don’t necessarily mean that the new S9 line-up will arrive early, it at least has us considering that they might. Two FCC listings popped up yesterday as A3LSMG960F and A3LSMG965F. The A3L portion is Samsung’s grantee code at the FCC where all their smartphones will be filed under. The second portion – the SMG960F and SMG965F – is for the product code, which Samsung uses based off the model number of their phones. For example, we saw SMG950U, SMG955U, and SMN950U for last year’s unlocked Galaxy S8, S8+, and Galaxy Note 8. In terms of timing, this seems incredibly early when you look back at the S8, Note 8, and even the S7 and Note 7 FCC certifications. 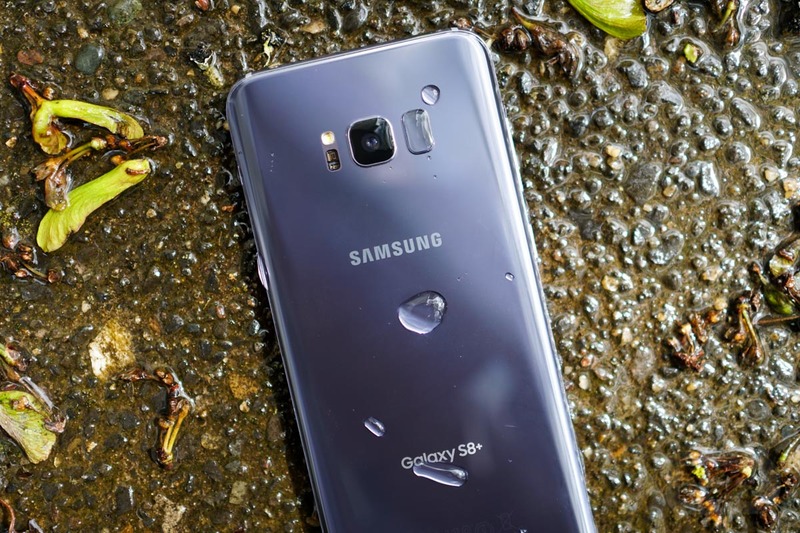 The S8 showed up at the FCC in March 2017 and then went on sale in April. The Note 8 showed up at the FCC in July 2017 and then went up for sale at the end of August. The Galaxy S7 showed up in February 2016 and then went up for sale in March. And finally, the Galaxy Note 7 showed up in July 2016 and then went up for sale in August. Seeing a pattern here? Samsung sends its phones for FCC approval and then begins selling them a month later. Will they do that this time? Again, that’s tough to say. We’re talking about months and months early for FCC certifications. Should Samsung follow the past couple of years worth of timelines, that would mean the release of the Galaxy S9 and Galaxy S9+ in January. That would be nuts, and so far, we have no indication that that will happen other than a single report about a CES tease. Other reports suggest a February unveiling. No matter what happens, this early FCC arrival sure has confused us. But let’s talk about what’s in the FCC filings, as they do reveal some details. For one, the model numbers match up to what we expect for the Galaxy S9 and Galaxy S9+. The G960 and G965 will follow the G950 (S8), G955 (S8+), G930 (S7), G935 (S7+), G920 (S6), and G925 (S6 Edge). Specifically, though, these are G960F and G965F, with the “F” here previously indicating an international unlocked model. For the past few releases, Samsung has used a “U” for US models, including the US unlocked versions. So this could just be a really early international unlocked model at the FCC for whatever reason. It does show support for all of the major US LTE bands, including those from Verizon. Take a look. 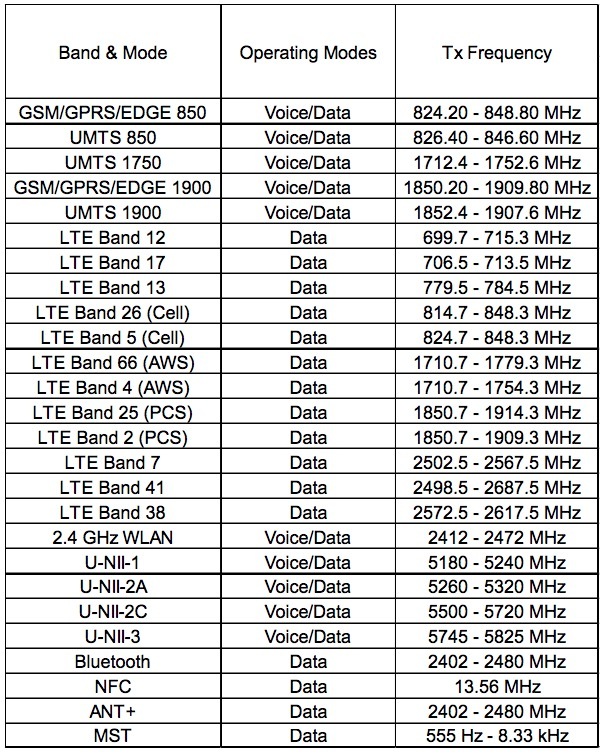 As you can see there, CDMA support isn’t included, but again, all of Verizon’s LTE bands are there (Sprint’s too). Plus, we have full LTE support on AT&T and T-Mobile, as well as T-Mobile’s Band 66. These look like phones that will work universally in the US, as long as you won’t need to connect to Big Red’s CDMA network, which is now less and less a requirement. The docs don’t reveal much else, although we do know the battery model number on the Galaxy S9+ is EB-BG965ABE. Someone with a parts catalogue who works in the smartphone repair business, feel free to look that up. We’ll let you know if we find anything else. Anyone think there is a chance we see the Galaxy S9 and Galaxy S9+ release earlier than usual?